The joke was on them. “Unforgettable” – whose title track was that famous duet with her dad, the late, great Nat King Cole – went on to sweep the 1992 Grammy Awards, including the major categories of album, record, and song of the year. Her latest project is another surprise. 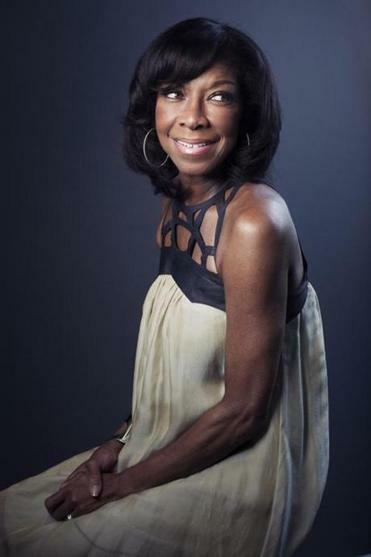 On “Natalie Cole en Español,” the singer interprets beloved staples of Latin-pop music (“Bésame Mucho,” “Quizás, Quizás, Quizás”), combined with her lively spin on “Oye Como Va.” The album has been warmly received, too, debuting and staying at No. 1 on the Billboard Latin album chart for three consecutive weeks. She’s following in the footsteps of her father, who was among the first American pop stars to record in Spanish. His “Cole Español” was such a hit in 1958 that he went on to make two more albums in that vein. She even duets with him on her latest on the song “Acércate Más,” which he had also recorded. Cole will perform selections from her new album at Friday’s opening concert for this weekend’s Newport Jazz Festival. We recently caught up with her to see just how naturally she took to Latin music. Q. Tell the truth: How was your Spanish before making this album? A. Oh, terrible. Muy poquito. But I have a great accent, so if I said something, people would say, “Oh, you speak Spanish?” Um, no, not really. And my dad didn’t, either. Singing in Spanish is a lot easier than speaking in Spanish because they speak so fast. Q. Did you work with a language coach? Q. What did you look for in the songs? A. I felt the same way about this record as I did about “Unforgettable.” I was looking for classics, beautiful melodies, and, above all, I was looking for romance. One of the interesting things about the response to this record is that, in talking to some of my Latin friends and Latin journalists, the reason they like this record so much is because there’s so little of this kind of music that’s being done these days. Right now Latin recording artists want to be American. They want to do pop and hip-hop stuff. Not a lot of artists are doing pretty music, and I just like doing pretty music. Q. How would you describe your knowledge of Latin music? A. I have a lot of Spanish-speaking friends. When I was in high school, I took Spanish. My first trip outside of the country was to Mexico with my dad. It always lingered with me. There was something about the culture that I felt a little simpatico with. I think black folks and Latin folks have a common thread between them: They love to party, they love to eat, they love to fight, they love to cuss, and they love their music and love to dance. I always felt a kinship with Latin culture. It’s just taken forever to come around to doing something like this because it never really occurred to me until a little while ago. And I thought to myself, I do want to broaden myself internationally, kind of get out there a little more. I can always do another jazz or pop record, but what about another language? Q. Were you feeling creatively restless at the time? A. Yeah, I was. I think if you call yourself a quote-unquote artist, you do get those longings to step out. You’re basically stepping out on faith. The investment you’re making is in yourself, and hopefully someone else will get what you’re doing. Q. Your father’s albums in Spanish were a big deal, weren’t they? A. They were. No American artist had ever done anything like that. For dad, even though phonetically he wasn’t perfect, people honored his work because they liked the idea that a big star had paid tribute to their music. That made them love him. Q. Whose accent in Spanish is better, yours or your padre’s? Interview has been condensed and edited. James Reed can be reached at jreed@globe.com. Follow him on Twitter @GlobeJamesReed.